Al-Abbas was so bright-faced and handsome. Hence, he was called 'Qamar Bani Hashim -Moon of the Hashemites.' He was also the moon of his family and the moon of Islam because he paved the path of martyrdom with light and shone upon the lives of Muslims. He was so bright-faced that the light of his countenance lit every darkness and everybody admired his handsomeness. 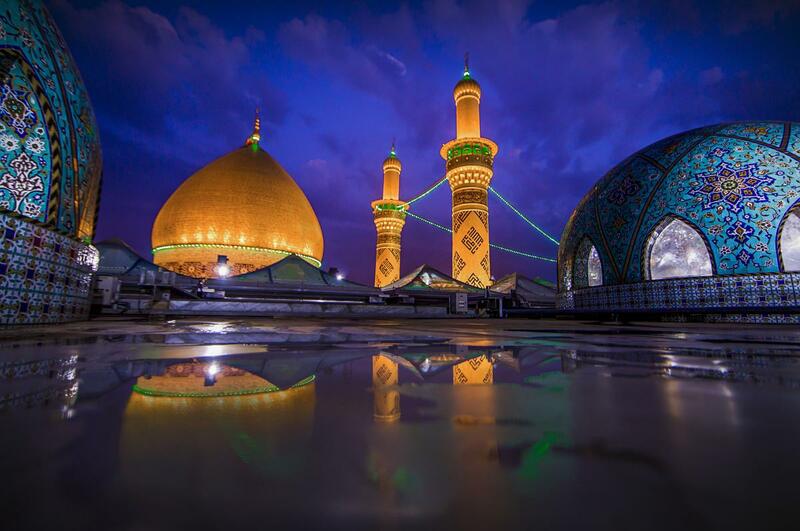 When it happened that al-Abbas was accompanied by his nephew Ali al-Akbar who is known of his similarity to the Prophet physically and morally, people of Medina used to stop in lines watching their bright and luminous faces.